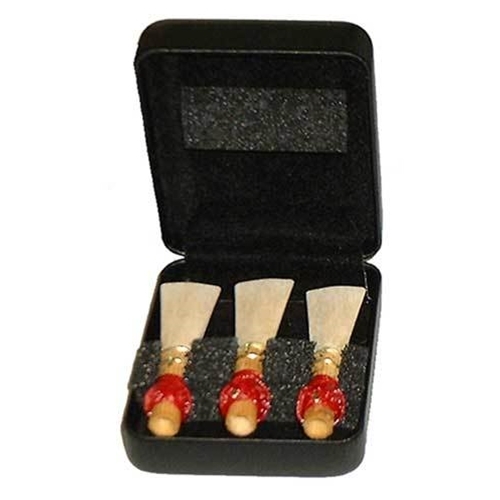 Hodge - Bassoon Reed Case This attractive jewelry-style black leatherette case fits easily into any bassoon case. It has a spring hinge that snaps open and shut. Holds 3 reeds.